Comforting Car Accessories You’ll Love! There are many car accessories that you could be using to make your drive better, more comfortable and in some cases, more efficient. If you’ve been researching different products that would make your drive more worthwhile, the Porsche service experts at Avalon Motorsports may have the answers you’ve been wanting. Go ahead and learn about all of the past products we praise and continue reading to learn more products we love! Napolex Broadway Rear View mirror Convex for $23.50 at Rallysportdirect.com. If you’ve always wanted a larger rear view mirror, this is one that you need to give a try. For a small price of $23.50, this easy-to-install mirror can give you the extra view you need and want. iOttie Easy View 2 Universal car Mount Holder for iPhone for $22.95 at Newegg. Considering texting and driving and playing on your phone call is a distraction, it’s time to figure out a way to view the roadmap you’ve set on your phone without looking down. This product by iOttie is easy to install, easy to use and affordable for all to buy. 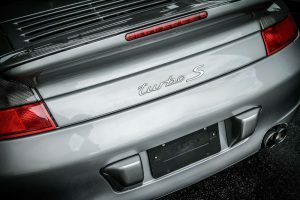 Contact the leading Porsche service specialists in Denver if you have any questions about our thoughts on these products. We love them and would only recommend products that we trust and use ourselves. Regardless, if you’d like to schedule a much-needed tune-up, now’s the time. Go ahead and join us online today to request an appointment for a Porsche service in Denver at Avalon Motorsports.